The only bright spot for India was the fact that former captain Mahendra Singh Dhoni reached two personal milestones during the game by completing 10,000 runs and 300 catches. 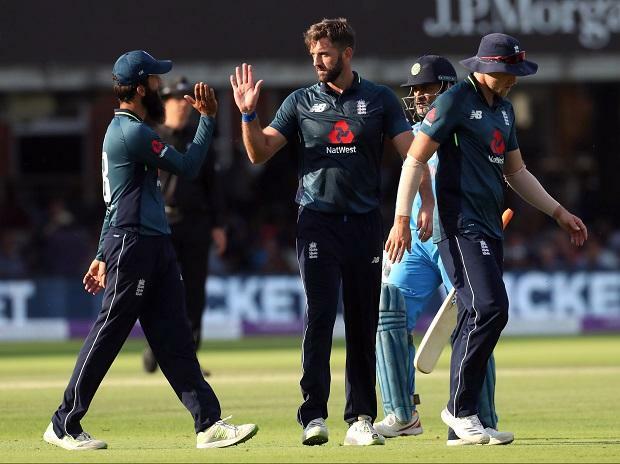 Over 49 India: 222-9 Runs Scored: Maiden over Liam Plunkett bowls the penultimate over and Kuldeep Yadav playing defensive shots to showcase his skills for selection in Test series and plays the over in the classic test match fashion. Over 46 India: 215-7 Runs Scored: 2 (0 0 0 0 Wd 1 0) David Willey bowls and Dhoni showing his test match skill not playing shot when requried rate is above 20 rpo.